Boxing Day, 2011 | Where in the world are the Uricks??? 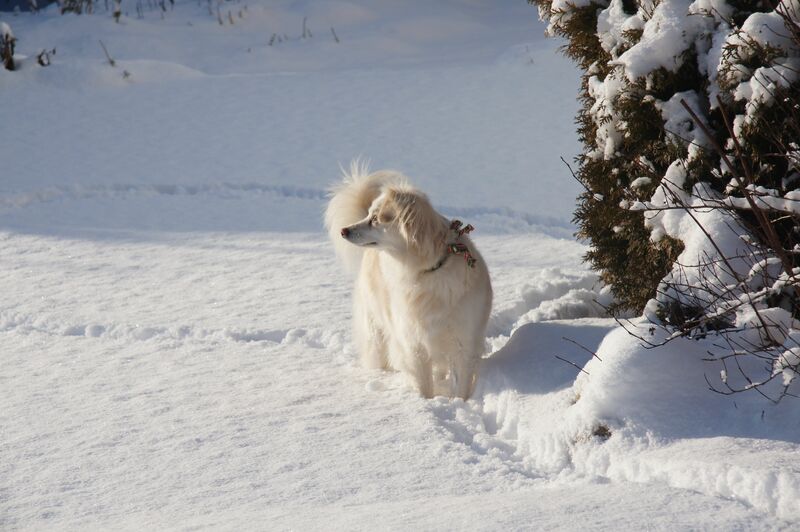 This morning, the sky was bright blue, there was about 4 inches of snow on the ground, the temperatures were perfect, and Lucy was a willing model! This entry was posted in Belfast, Maine and tagged christmas dinner, gentle snow, snow on the ground. Bookmark the permalink.